With the perfect balance of features, technology and performance, the 2018 VX delivers increased power and improved handling, in a family-friendly package. As the mainstay of the industry’s all-time best selling recreational watercraft range, the VX comes with Yamaha’s award-winning TR-1 High Output Marine Engine which delivers more power for less weight. This three-cylinder, 1049cc engine is perfectly matched to the cutting-edge designed VX hull, resulting in excellent stability, performance and fuel economy. The VX represents incredible value for money with technology far beyond what you would expect from a craft in this price range. 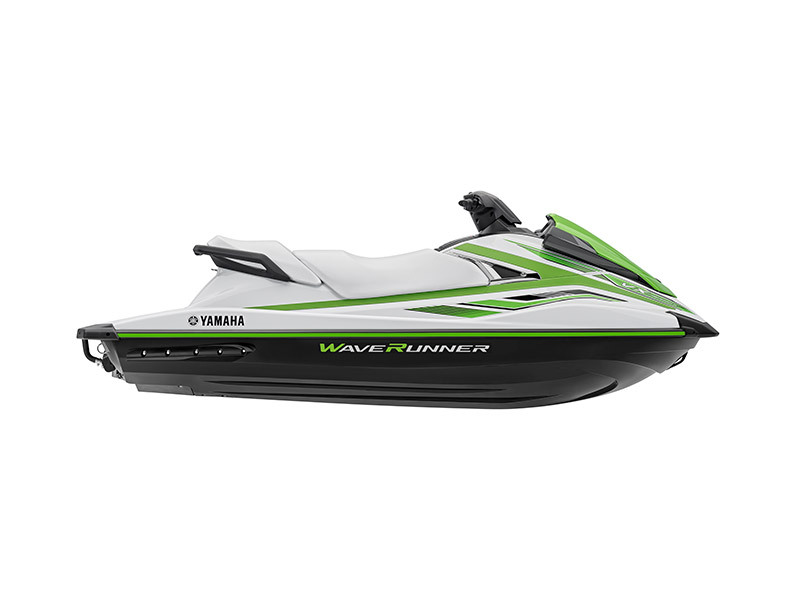 Featuring RiDETM, Yamaha’s revolutionary dual throttle handlebar control system, the VX delivers a fun and intuitive riding experience, unlike anything else on the water. With the inclusion of Yamaha’s Multi function Information Centre, watertight storage, built-in tow hook, extended rear platform and re-boarding step, the VX offers plenty of features and performance without the premium price. Copyright © Dan's Jet Power 2019.